Sometimes it happens that a carpet gets stained with something greasy. How to get rid of grease stains? It is not always easy, but there are several effective ways of removing such unpleasant problems. Our cleaning company will give you few tips. – Sponge the stain up with a paper towel or a cloth. The main thing is – do not rub because this will increase the stain size. Half of success is to start the stain treatment before it dries up. Otherwise, you will not be able to cope with it without applying to a cleaning service. Then you should apply some absorbent to the stain. It can be baking soda, baby powder or talc. Such materials absorb large amount of grease. Use a soft brush to rub the powder into the stain until the clumps start appearing. – Try to put some alcohol on the carpet. Apply medical or industrial alcohol to the stain and leave for 10-12 minutes, then wash off everything by a clean sponge with water. – Make a special solution for grease removing. Mix warm water with wine vinegar and dishwashing liquid in a ratio of 25: 2: 1. With this liquid wash the place with a stain, then wipe with a dry towel. – Use the carpet cleaner. If you have a special carpet cleaner, you will be able to get rid of any grease stains quickly and easily. Simply apply the cleaner to the stained place, wait until it dries, and vacuum clean. If the stain is removed, and the house cleaning time is coming, wash the carpet with cold water, dry it again and vacuum clean one more time. Important thing is not to leave the carpet wet, as this will lead to dampening or mold appearing. 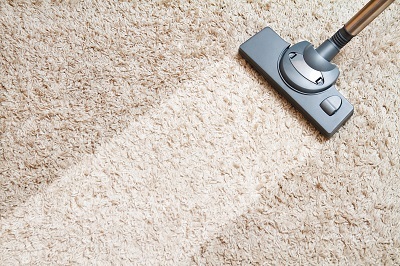 – After treating the carpet with all sorts of cleaning agents, some traces or smell may remain. If this really happened, our cleaning company may help you. Our experts are using only cleaning agents, which are safe for health, and that do not damage the texture of carpets and upholstery. Our cleaning teams effectively remove any kind of contamination. To order cleaning or to get acquainted with the general information, go to “About us” page of our website.